As the days draw in and the nights grow longer we cannot help but feel that summer was a long time ago… Fortunately there are many destinations across the world that enjoy warm summer temperatures and sun all year round. It is hard not to feel smug as you return back to the UK mid-winter with a sun-kissed glow before wrapping back up in your woolly hats and jumpers. For those looking to chase the sun and escape the cold British weather, we have come up with our top five winter sun destinations to banish those winter blues. A favourite by far are the Canary Islands. Located just off the North West coast of Africa the Canaries enjoy a subtropical climate making them the perfect holiday destination year round. Tenerife is perhaps the most popular amongst holiday-makers and is highly recommended for those after sandy beaches and vibrant resorts. The additional main islands of, Gran Canaria, Lanzarote and Fuerteventura all offer their visitors numerous sandy beaches and are perfect for watersports enthusiasts. If you are looking to travel to Gran Canaria the city of Las Palmas offers museums, restaurants and a three kilometre long beach. Lanzarote with its varied landscape offers a wealth of things to do from relaxing on a Blue Flag beach and windsurfing to visiting the volcanos at Timanfaya National Park. Else, immerse yourself in the Spanish way of life on the island of Fuerteventura with its fine seafood restaurants, or visit the fascinating Dunes Nature Reserve. With almost constant sunshine year-round and mild temperatures in the winter, whether you are looking for city breaks or luxury beach holidays, Morocco is perfect for a winter sun break. Marrakech is ideal for truly immersing yourself in the vibrant Moroccan culture, with the sights and sounds of the souks. Or, if you would prefer to travel slightly further afield the Atlas Mountains are perfect for something a bit more active. The coastal town of Essaouira is perfect for all the charm of a Moroccan town alongside sandy beaches. The premier resort of Agadir is ideal for beach-lovers and watersports fanatics. Nestled in the Mediterranean Cyprus is warm throughout the year and although the summer months are significantly hotter, in the winter months the temperatures are very comfortable. You can relax on the beautiful beaches and rocky coves or if you wish to further explore take a walking or cycling excursions to see the best of the island. The towns of Paphos, Limassol and the capital of Nicosia are perfect for discovering the Cypriot culture. The sub-tropical destination of Bermuda, consists of 181 different islands and is one of Britain’s oldest colonies. With its famous pink sandy beaches it is a delightful destination to visit. Asides from its beaches there is a wealth of things to in Bermuda from the Maritime Museum and Royal Naval Cemetary to the famous Gibbs Hill Lighthouse. 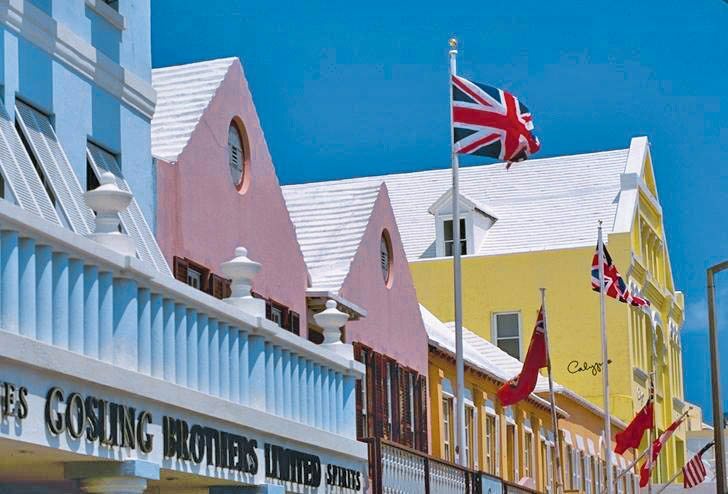 Visit the Town of St George to step back in time whilst strolling around the 200 year old capital. Where are you enjoying the sun this winter? Share with us on Facebook or comment below.